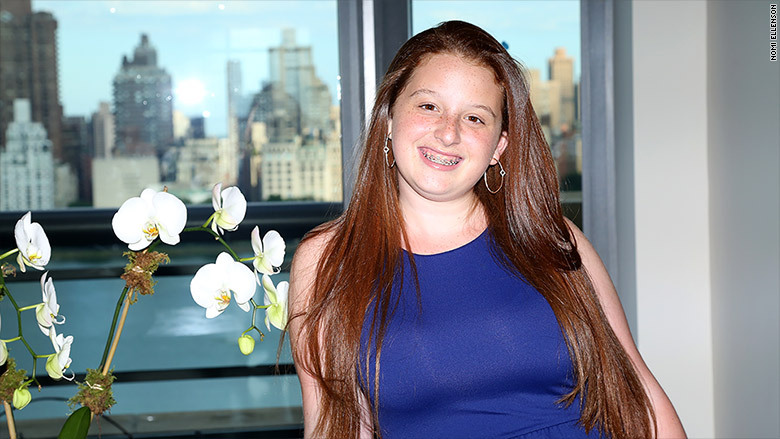 On the outside, Noa Mintz is a typical teen -- braces and all. But while her peers are chatting about boys and clothes, Mintz is texting the CEO she hired to run her growing business. 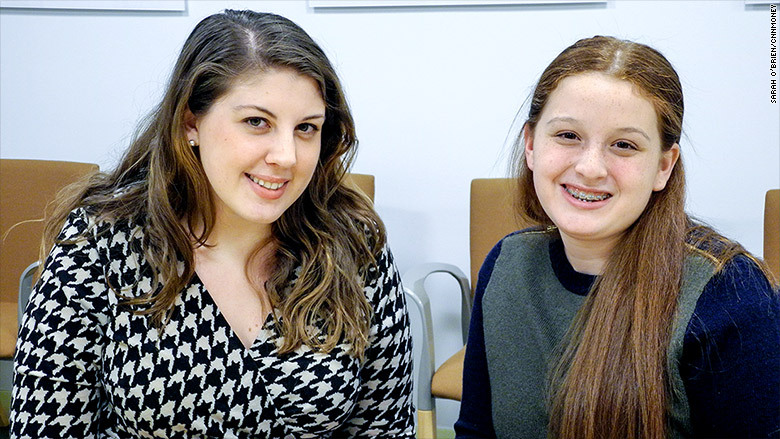 Mintz, 15, has been heading up her own nanny agency since August 2012. She hired Allison Johnson last July to oversee day-to-day business operations while she attends her freshman year of high school. She rents a room in an office building in Midtown Manhattan where Johnson, 26, works. Mintz made the executive decision to hire help because she was putting in 40 hours of work a week at Nannies by Noa while juggling her 8th grade course load. "While stepping down was necessary with the beginning of high school, of course it has been difficult to hand over lots of my work to someone else," Mintz emailed an entrepreneur in January, soliciting advice. "I would love to hear about your journey as an entrepreneur and how you balanced college while also being a committed businesswoman." Mintz (right) hired Johnson in July 2014 to take over daily operations at Nannies by Noa. Like any minor, Mintz has had to lean on her parents for some help. Her father -- who runs a private equity firm -- is the registered owner of her business. He's helped front money for legal fees but says he fully expects a "return on investment" as with any business venture. She did just that -- and then she starting helping her mother's friends find nannies. "I found it fun to get to know a family and their needs -- and find a babysitter who matched that," she said. It was the summer of 2012, before she entered 7th grade. "I really had no expectations, but I figured I'd try," said Mintz, who lives on the Upper West Side with her parents and three younger siblings. In the past year, her business has tripled: from 50 clients in 2013 to 190 clients today. "It's definitely not something I hide," said Mintz, of her age. "But it's not something I blurt out on every call. People have said, 'You have a very young voice. How old are you?' I assure clients, 'I'm still an agency, I'm still a businesswoman.'" 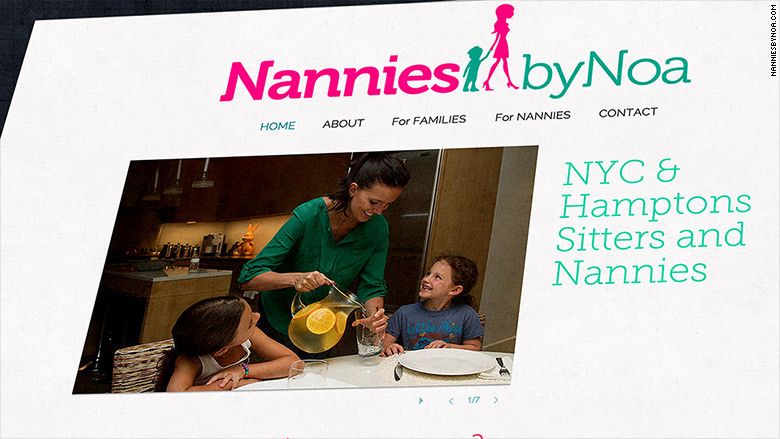 Mintz created a website for Nannies by Noa by herself using Wix.com. "I wasn't charging enough. Even clients would say, 'You realize you should be charging way, way more,'" added Mintz, whose clients are mostly looking for long-term help. She's since revamped her business model: Nannies by Noa now takes a percentage of the overall rate. She declined to disclose financials, but said rates are on par with the industry, which is typically 15% of the nanny's first year gross salary (in New York this runs about $50,000, according to Mintz). Mintz's parents say they aren't shocked by Noa's success. She had a predilection for startups at a young age (she would organize art classes for her siblings and coordinate party planning for birthdays). And they all watch "Shark Tank." "I got her a subscription to Entrepreneur, but she also reads Seventeen," said her mother, Meredith Berkman. "I wanted her to go for it, as long as she's doing all of her schoolwork." Mintz is the first to admit that schoolwork doesn't come easy. "I'm not an A+ student. I have definitely struggled with school," said Mintz. "[But] having this business, I realized that book smart isn't the same as entrepreneurial smart. I've tried to channel the business to give me more confidence in school." She does get an A+ for business savvy. While Nannies by Noa is cash-flow positive, Mintz said she invests everything back into the business. "I feel that there are always opportunities for growth and marketing, which comes at a price," she said. "Eventually I may take out a small salary, but not at this point." While Mintz said she has other business ideas, she also wouldn't rule out other careers. "First I need to finish high school, and then perhaps I'll launch another company. We will see," said Mintz.